Remember Shadow Moses, the Unreal 4 fan remake of PlayStation’s Metal Gear Solid? You know, the one that looked really lovely and shiny, but we knew deep down Konami would ban it. And they did. Well that same group aren’t going to keep us waiting, as they’re at it again with another MGS project – this time along with Solid Snake himself, David Hayter. It’s going to be free, like everything in our list of free PC games. 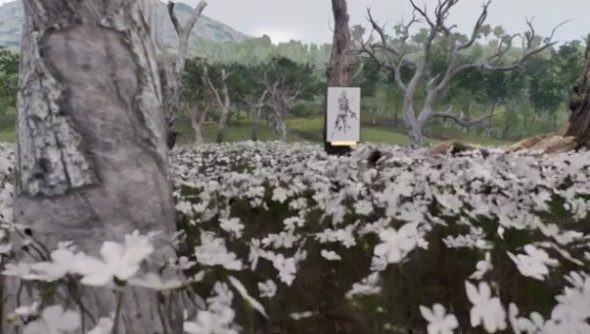 The Fan Legacy: Metal Gear Solid is a first-person VR experience that takes players on a virtual tour of locations inspired by some of the most famous areas across the MGS series. The project “will feature many pieces of amazing fan art from devoted lovers of the series and our collaborators,” says the description. Exactly what capacity David Hayter is helping in isn’t clear, but presumably he’ll be grunting out gruff famous lines from across the series. The creators are hoping to get around the Konami ban by making a big deal out of it being a non-profit venture, but I wouldn’t be surprised if Konami put an end to it anyway, as Metal Gear Solid is their thing. If it does survive the next month, it will be released as a free download in May. Keep up with progress over on Facebook. We’ll update this story when it gets cancelled.